When performing CT scans, technicians can be challenged by image distortions in patients with metal implants, such as surgical screws, dental fillings, prosthetics, or artificial joints. These implants can create streaks and striations across the image that make appropriate diagnosis and treatment difficult for even the most skilled physicians. The streaks on the image can confuse the view of tumors, dark spots, or healthy tissue. This decreases the effectiveness of diagnosis. It also can create uncertainties in dose calculation. Enter in Smart MAR (metal artifact reduction). MAR has revolutionized scans for patients with metal implants of any kind. MAR uses a 3-stage, projection-based process to, "reduce photon starvation, beam hardening, and streak artifacts caused by metal in the body.”1 This technology strives to improve the data at the projection point, instead of in the image itself. The image quality alone is enough to make this a revolutionary advantage, but there are other benefits as well. The MAR scan allows patients to receive clear images in a single scan- no retakes to compensate for artifacts. This saves time each patient is in the scanner. Patients with anxiety or claustrophobia will benefit from shorter scans. This time reduction in turn reduces the dose of radiation each patient is exposed to, making for more dose-conscious scanning. This development allows technicians and physicians to have a clear view of tissues, joints, and tumors in patients with metallic implants. This means more accurate and timely diagnosis and treatment for those patients. 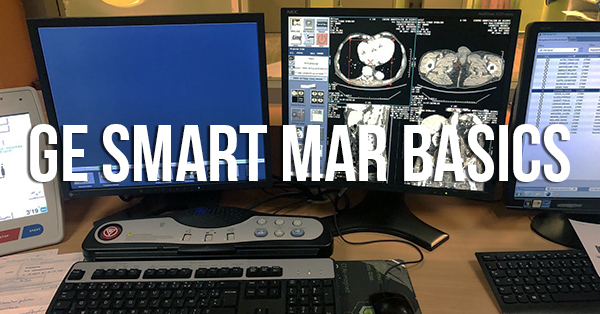 Smart MAR (and all of its alternatively-branded counterparts from other manufacturers) is a tool that will significantly change the experience of getting a CT scan for anyone with an implant and the doctors and techs that serve them. Unfortunately, it's a tool that is still in the early stages of proliferating into the existing CT install base. If you're looking for Smart MAR be prepared to pay a premium for it. Smart MAR is only available on GE's newest CT products or as an upgrade to Discovery 750 HD or Optima 660 scanners. In a few years we expect to see more Smart MAR-enabled systems trickling onto the secondary market for purchase by imaging centers that need to be more budget-conscious. This is just one of the many CT scanner articles we have for you. If you want to keep reading about systems, parts, service, and news, click here to see the complete list of content for this topic.